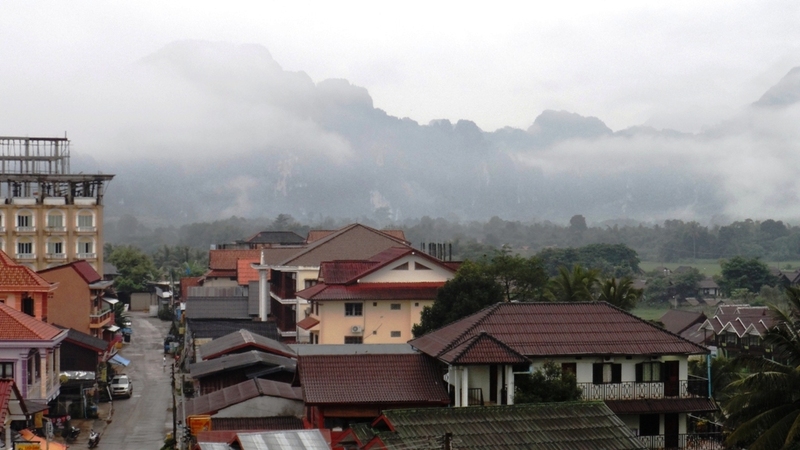 The town of Vang Vieng is the main reason why I was drawn to visit Laos. 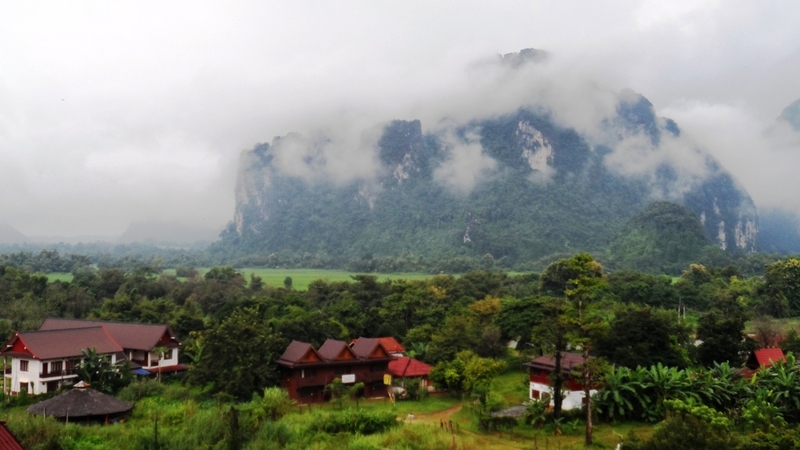 Vang Vieng is known for its beautiful landscape of tall Karst hills surrounding the small town, which is seated at the banks of Nam Song (Mekong) River. 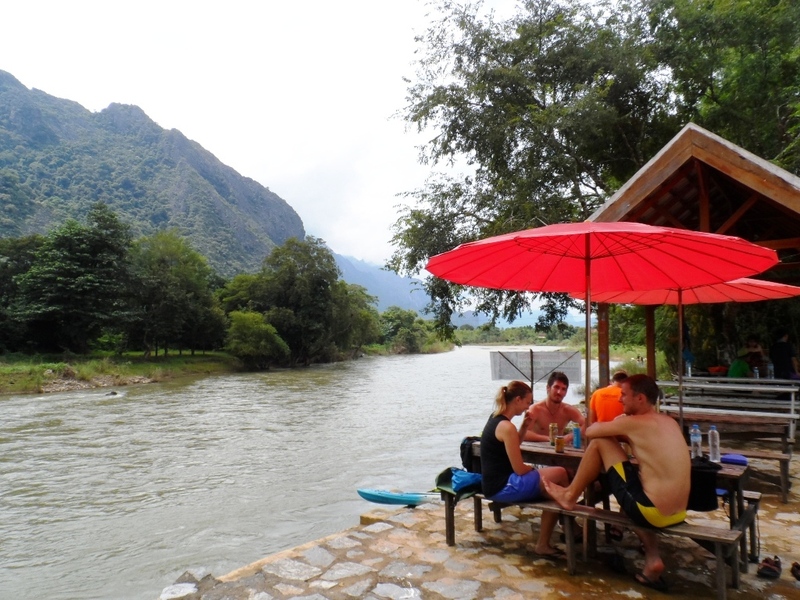 Vang Vieng became famous to travellers, particularly the young party goers, during the year 2005 onwards, for its riverbank bars , extreme parties and drunks drifting themselves on tubes down the river. 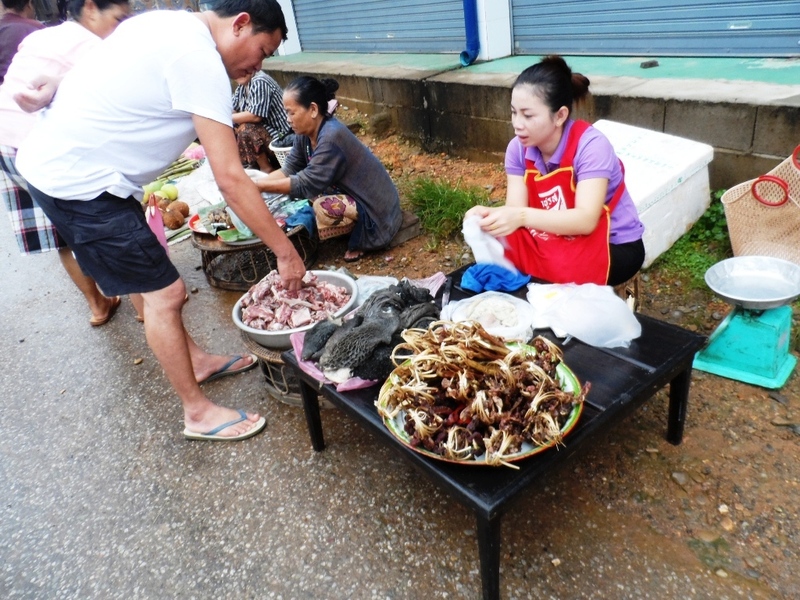 Until the last quarter of 2012 when the parties already brought too much hazard and accidents , that the Lao government decided to cease the trend. 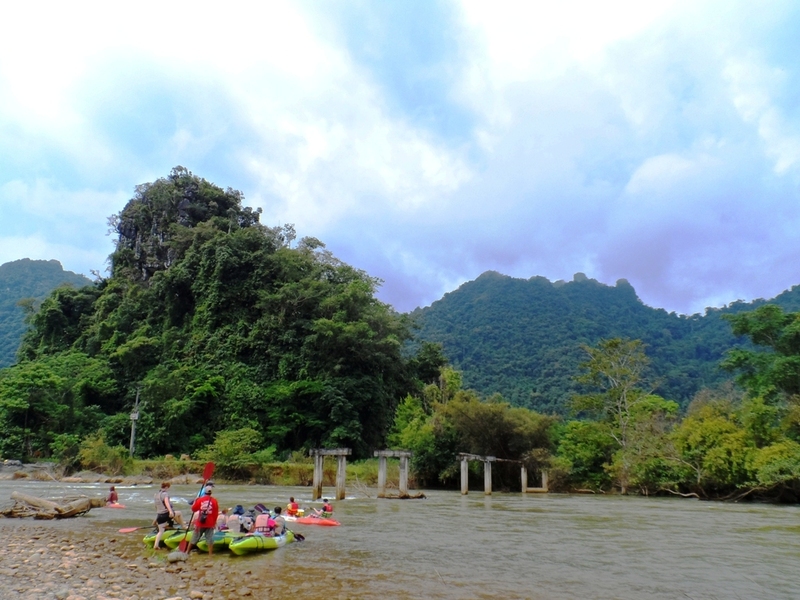 Today, Vang Vieng without the parties, may be considered a boring destination for many. 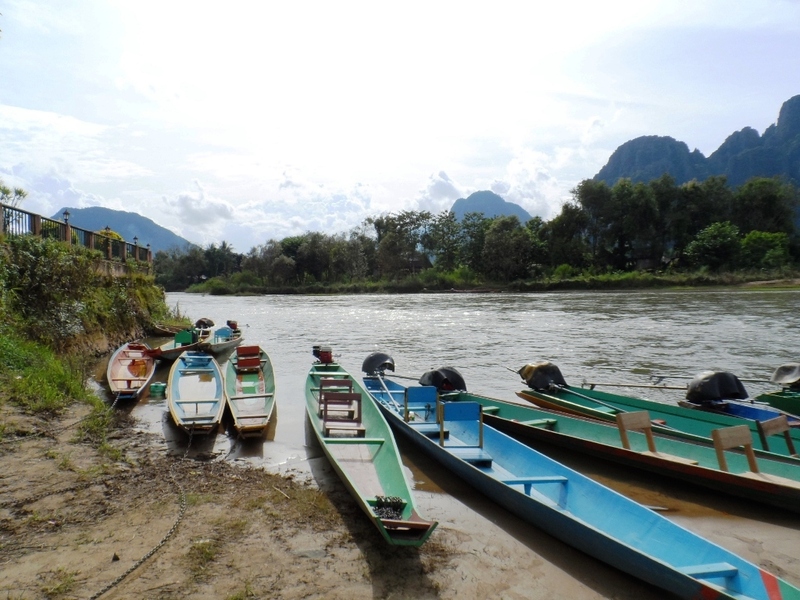 But to some , including myself , Vang Vieng of today was brought back to its small town beauty ; humble, relaxing atmosphere , beautiful landscape by the river , where one can enjoy local beer and just sit by the river on a lazy afternoon. View for my room at the 4th floor of Bountang Guest house . Priceless! my 7 USD hotel room at the 4th floor of Bountang Guest house . I did not make any prior reservations to this because I wanted to find a good room with an unobstructed view of the hills. 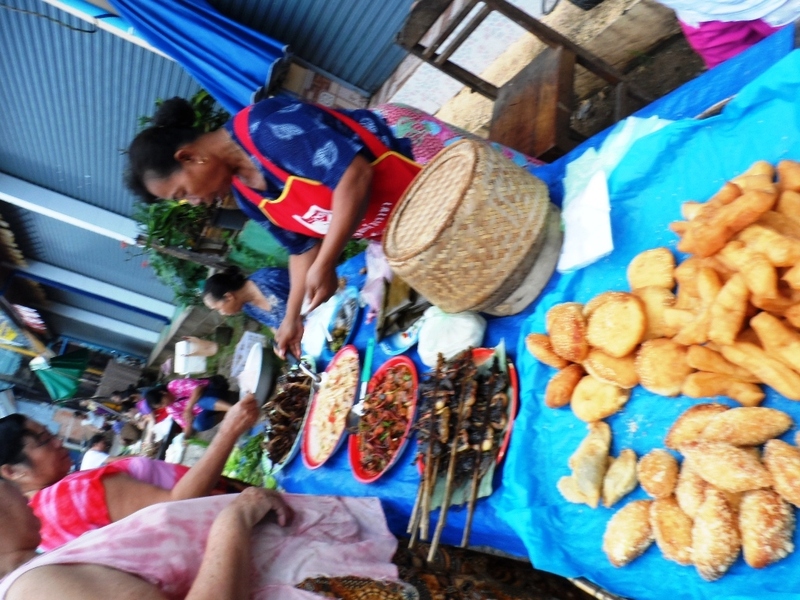 Woke up early one morning to check on the streets and the Market. 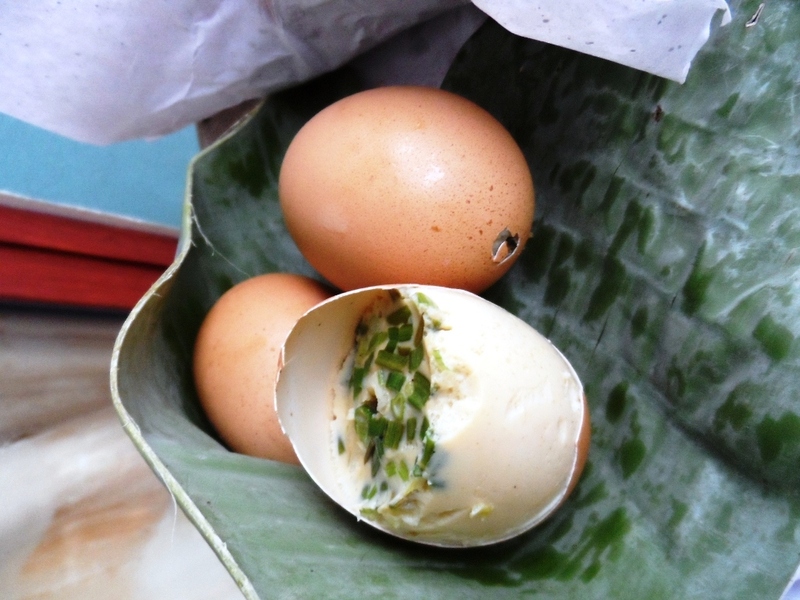 First time to see Grilled Chicken Egg with Spices . Did not enjoy this though. The spices were too strong. 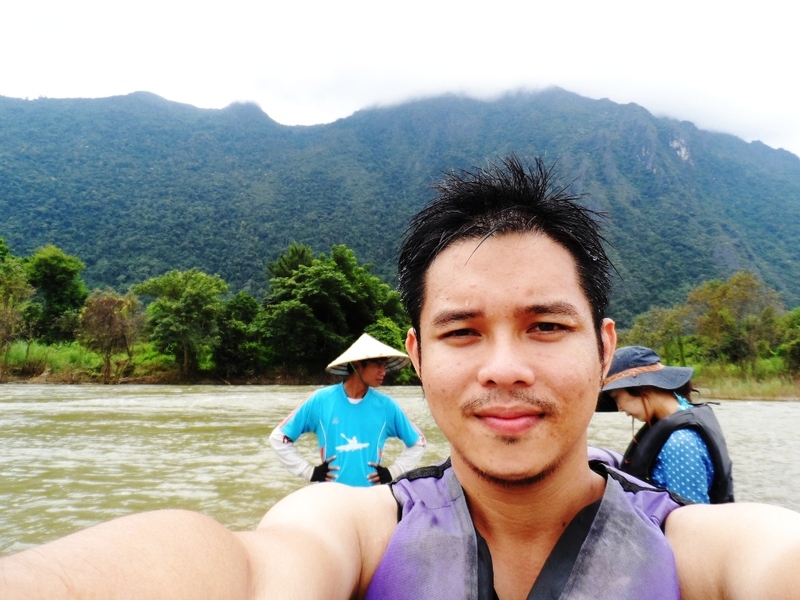 People these days visit Vang vieng to do Mountain trekking, kayaking, caving and tubing, which is what I exactly did . 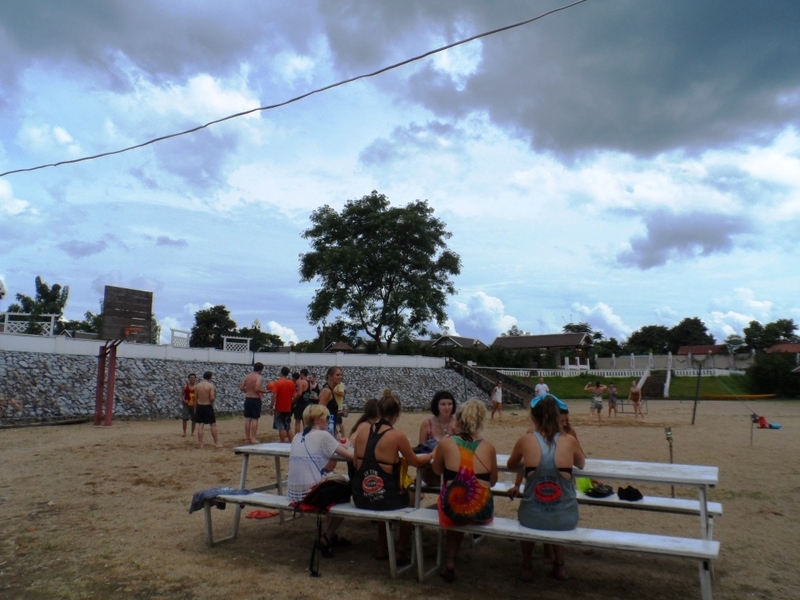 All that activity including lunch and transportation for only 12 USD . Drifting down the Nam Song river surrounded by the Karst Hill landscape was pretty amazing , and is by far the best part of my Indochina Backpacking Trip. Travelling to Vang Vieng from the Lao Capital, Vientiane by Van/Mini bus can be arranged with your hostel for only 35,000 kips (4.5 USD) with hotel pick up. You may opt to travel with a local bus from the terminal at the city market , for a cheaper price (an a lot of stops) , but the Van arrangement is more convenient and relatively practical. indeed, haha . 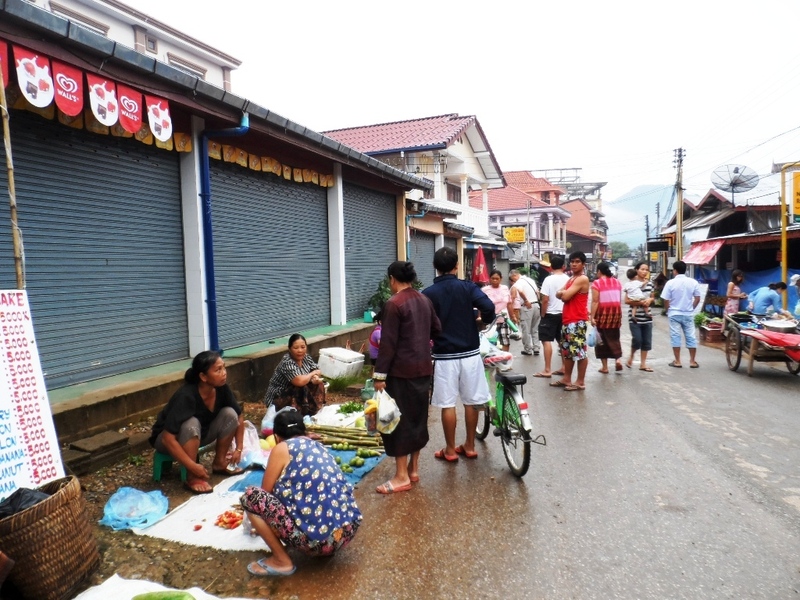 and getting around Vang Vieng is very affordable. The whole day Kayaking, Tubing and caving only costs around 500 pesos , with lunch. Ive done kayaking as well in Davao but it cost me 1650 pesos ! Hi Jose.. 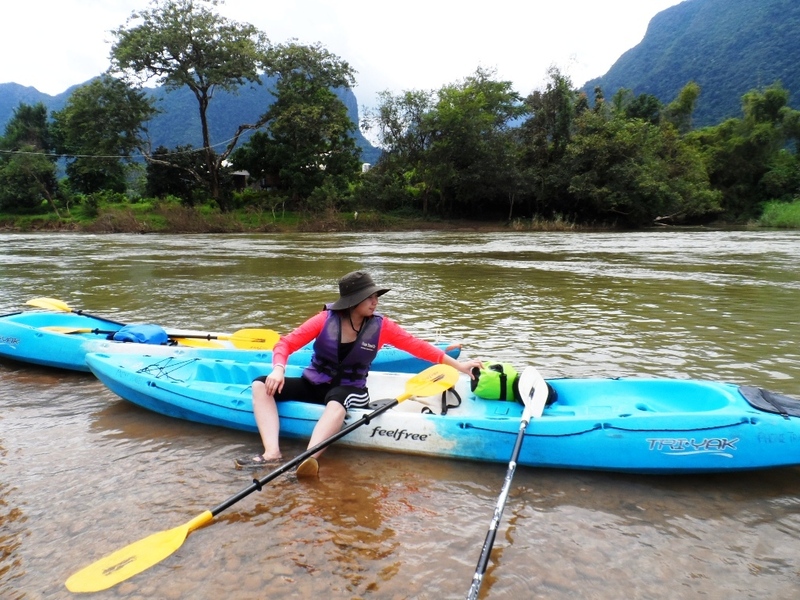 I have read your blog about your Laos Trip. My wife and I wanted to travel this coming April to Vang Vieng. May I ask if kung walk-in lang ang ginawa mo on your activities like tubing, kayaking and caving? Or nag book ka via online? We’re still looking for a good and not that expensive accommodation. 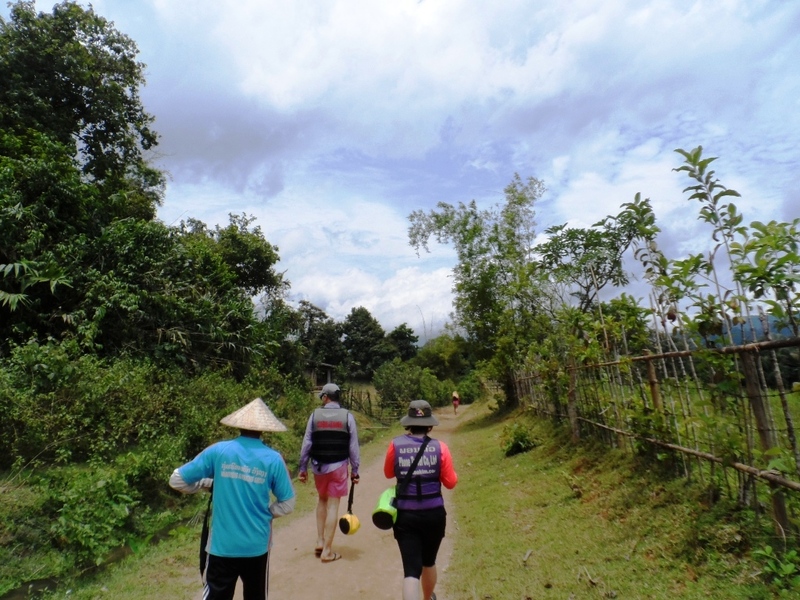 Gusto din namin matry ang trekking as well. Any suggestions is highly appreciated. Thanks! Hey Sorry for the late reply, hope i am not too late. Yes, walk in lang. its cheaper that way (walang online service fees) . 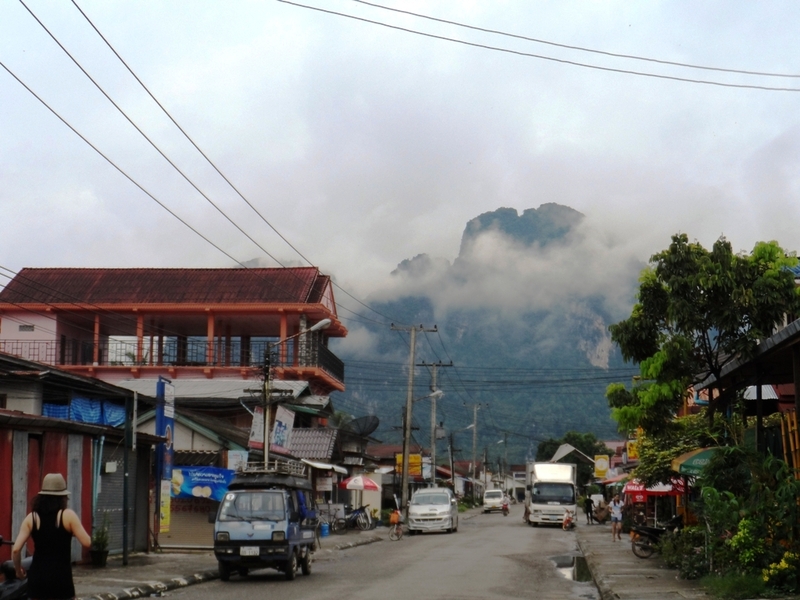 Vang vieng is a small town lang. you take a bus from vientiane, and you will be dropped at the main street na may tourist info center din at the corner. there, just near there, dun lang ako nag book ng day activities ko. canvass on at least two tour shops along that street. 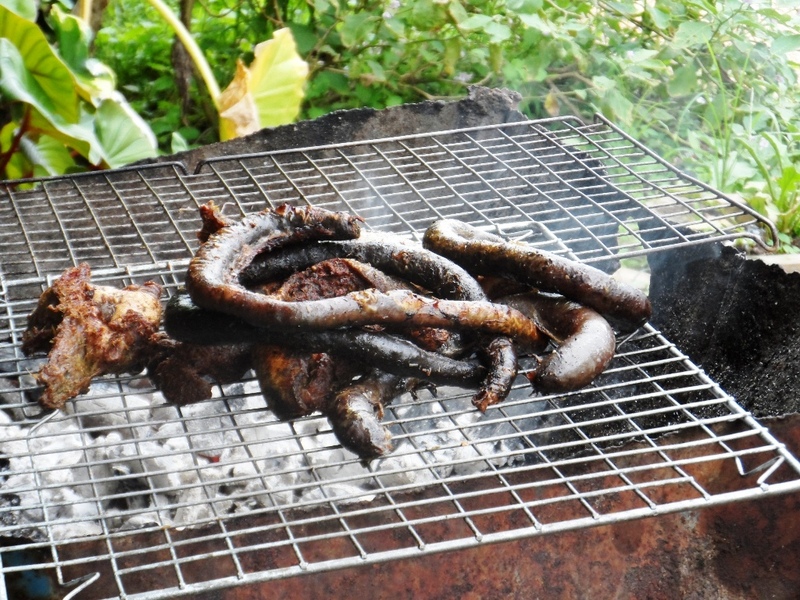 my daytour only costs 90,000 kips with good lunch. roughly around 500 pesos. which is a good deal already. compared if you go water rafting here in Ph. Professional naman ang mga guides nila. 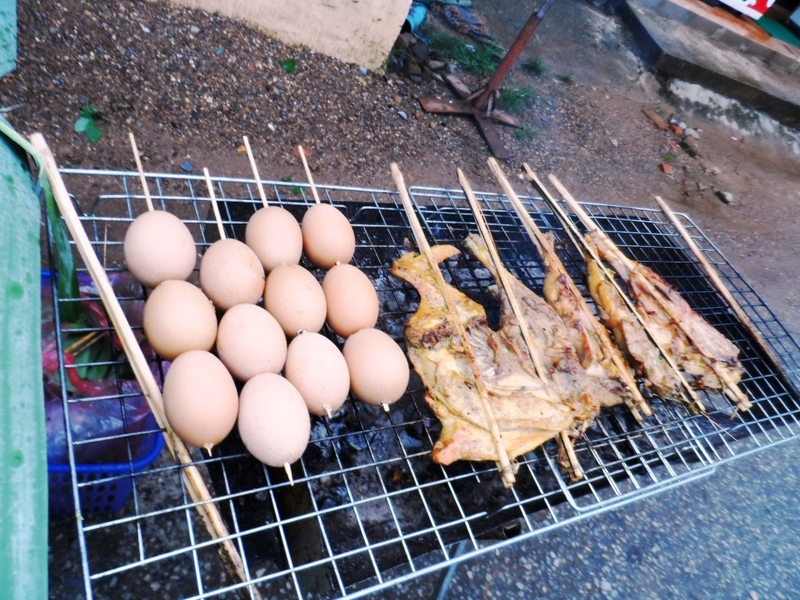 Theres nothing much to do in Vang Vieng at night except kung may party/events on weekends. kaya pagurin nyo na sarili nyo sa day time activities. haha . pati guesthouse ko, walk in lang. 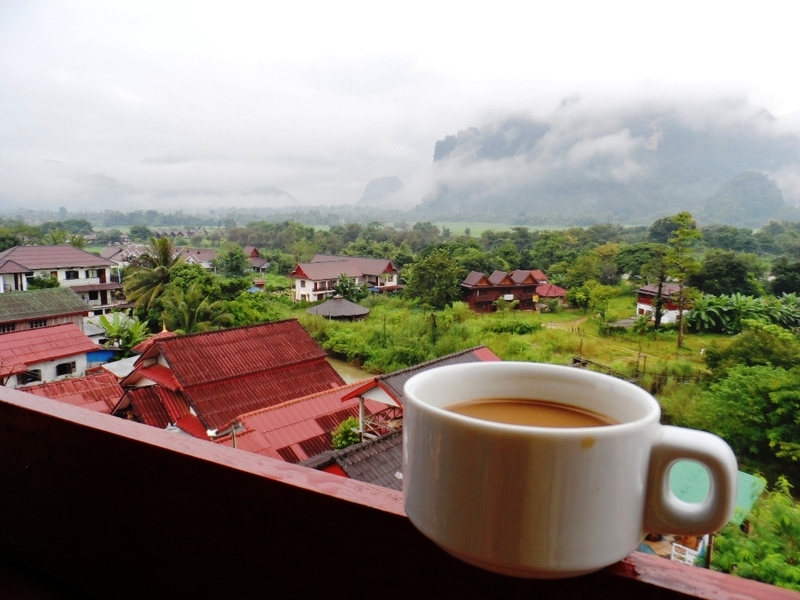 youll be surprised sa Vang vieng, its such a small town, pero andaming maayos na guesthouses. 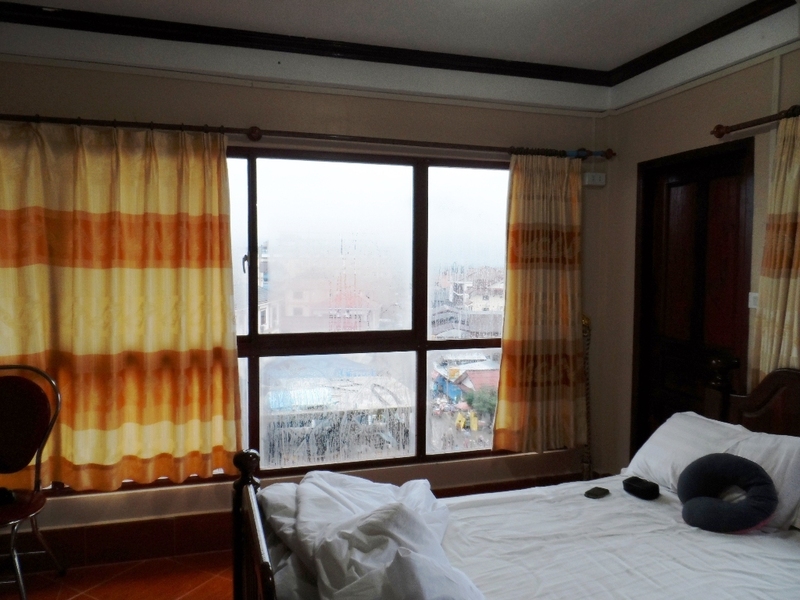 Try bountang guesthouse … take the 4th floor room with balcony. amazing ang view! negotiate the price, pwede tumawad basta walk ins. Buy Vang Vieng Tshirts sa shops near the district hall. nasa 20,000 kips lang dun ( around 90 pesos per shirt ) other streets near guest house, mahal konte.